Yep, that’s right. On average, if your website or advertisement hasn’t hooked the person reading it within 7 seconds, that’s it. They’ve already moved onto the next piece of content. In an online world, users are simply flooded with things to read, watch and explore. So you’d better be sure you’ve set yourself apart from your competitors. And you better make sure you’ve done if effectively within just 7 seconds. The statistics speak for themselves here. Research shows that effective conversion from potential buyer to active customer is more likely to happen with video. And did you know that 48% of millennials consume video only on their mobile device? This is especially key to note if you’re trying to market to 18 – 35 year olds. To get on the radar of a younger audience, you need fantastic video content. You’ve got an awesome product or service, right? It’s got a bunch of amazing features and benefits which you know your customers will love, yes? Video marketing is your chance to convey all of this, in a streamlined, succinct and importantly – visual way. If you’ve put time, money and effort into creating your business, then the world needs to know about it. Make sure your audience understands just how great your product or service is. Do it with a video. The secret of an effective video is its ability to speak to a viewer on a personal, emotive level. After all, successful marketing isn’t about you, it’s about your user. A video is your chance to tell a story worth hearing and engage with your audience on a deeper level. That’s how to set yourself apart. And if a user loves your video? A user will love you and your business. 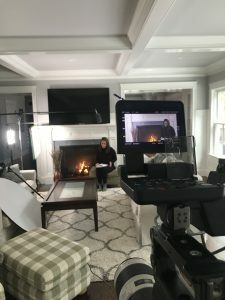 You might think a professional, high-quality and all-round awesome video sounds like a lot of work and a lot of money. But that’s not true. Here at Fast Century Films, we take care of everything for you, from concept to color-grading. All you need to worry about is handling your boost in your business once the world sees your incredible new video. Fast Century Films offers video-production services for business and non-profits. We are passionate about making beautiful, high-quality and attention-grabbing video content. Let’s connect and discuss how Fast Century can help you tell your story, boost business and stand out from the crowd.